This is one killer bust! One of Batman's most ferocious (but not the brightest) villains joins his rogues gallery as part of the Select bust line based on Batman: The Animated Series! 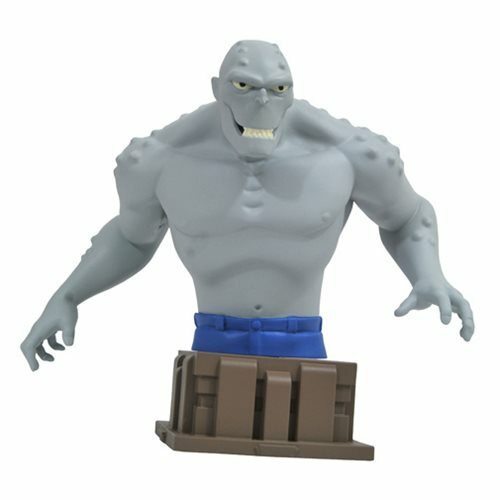 Featuring his distinctive appearance from the show, this approximately 7-inch resin bust of Killer Croc is ready to pounce on a pedestal base inspired by the architecture of Gotham City. This bust is a limited edition of only 3,000 pieces, and comes packaged in a hand-numbered, full-color box with a certificate of authenticity.